Today’s post is about a fab new perfume I’ve recently discovered – Yves Rocher So Elixir Purple, from Baobella. Now I’ve only recently heard of Yves Rocher, they are a French brand who have been voted the number one beauty care brand in France. So their products should be pretty good! 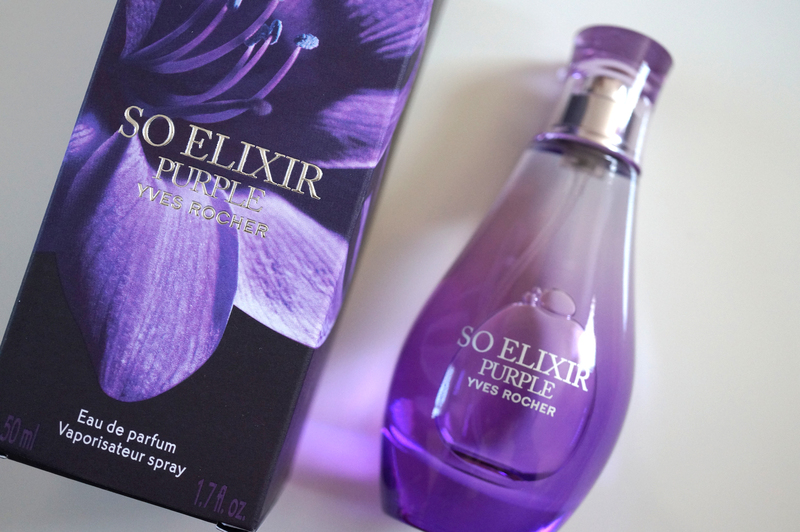 The So Elixir Purple EDP is described as ‘an incredibly feminine, floral-woody elixir’ – ooh err! And it is surprisingly very nice! I say surprisingly simply because I am notoriously fussy when it comes to perfumes – I would go as far as saying I’m a bit of a perfume snob – just any old EDT off the shelf will not do! So I was very pleasantly surprised with this one – the fragrance has notes of tuberose, bergamot, patchouli, benzoin extract, and vetiver essential oils, which are an amazing combination. The lovely thing about this fragrance is it has a ‘seductive’ evening element, but it’s not too heavy or overpowering so it’s great for day time too. This is now my new everyday go-to fragrance! Previous Post MAC Gorgeous Lips Giveaway!